Colon cancers are staged by assessing more than 12 lymph nodes, but there is still a controversy over the number of lymph nodes. Only a few studies of metastatic lymph node position in colon cancer have been published with its significance not completely understood. This study aimed to compare survival rates according to metastatic lymph node position following radical lymph node dissection for stage III colon cancers. This retrospective study evaluated data prospectively collected at a tertiary teaching hospital from 349 patients who underwent laparoscopic colectomy with radical node dissection between December 2009 and December 2014. Lymph nodes were numbered and classified into lymph node metastasis (LNM) groups LNM1, LNM2, and LNM3 and their short- and long-term outcomes were compared. The LNM1, LNM2, and LNM3 groups included 229, 94, and 26 patients, respectively. Patient characteristics differed by locations (p < 0.001). A mean 34.6 lymph nodes were harvested, and a mean 2.6, 5, and 9 metastatic nodes were identified, respectively (p < 0.001), a finding that is proportional to the cancer stage (tau-b = 0.284, p < 0.001; rho = 0.3, p < 0.001). The 5-year disease-free survival rate did not differ among the three groups; however, the LNM3 group had the poorest overall and cancer-specific survival rates. Risk factors associated with cancer-specific survival rate were identified with neural invasion, poorly differentiated tumors, and the location of pathologic lymph nodes (LNM). Metastatic lymph node location affects oncologic outcomes of stage III colon cancer. The patients for LNM3 metastasis should receive a more aggressive adjuvant treatment. Colon cancers are staged by assessing more than 12 lymph nodes, but there is still a controversy over the number of lymph nodes. 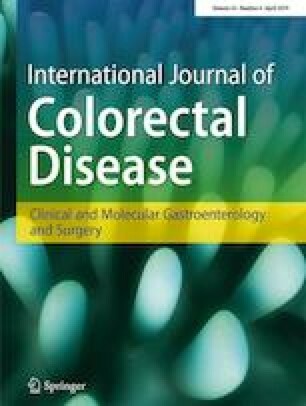 The authors have classified metastatic lymph nodes into D1, D2, and D3 groups and compared the short- and long-term outcomes following laparoscopic colonic resection and radical lymphadenectomy. The number of metastatic nodes was proportional with the stage, and principal (D3) node metastasis showed the lowest overall and cancer-specific survival. Study conception and design: H D K and H R K. Acquisition of data: H D K, J K J, S Y L, C H K, Y J K, and H R K. Analysis and interpretation of data: H D K, J K J, S Y L, C H K, Y J K, and H R K. Drafting the article or revising it critically for important intellectual content: H D K, J K J, S Y L, C H K, Y J K, and H R K. Final approval of the version to be published: H D K and H R K.
The study was approved by the Institutional Review Board of Chonnam National University Hospital (CNUH-2018-159).